In the mornings I’m a Nursery Cook, the rest of the time a Writer. 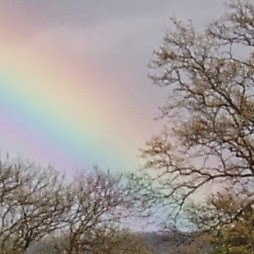 Been writing for decades: short stories, plays, poems, a sitcom and more recently flash fiction, Creative Writing MA at Lancaster Uni and now several novels. Been placed in competitions (Woman’s Own, Greenacre Writers and flashtagmanchester) and shortlisted in others (Fish, Calderdale, Short Fiction Journal). I won the Calderdale Prize 2011, was runner-up in the Ink Tears Flash Fiction Comp & won the Greenacre Writer Short Story Comp 2013. I have stories in Jawbreakers, Eating My Words, Flash Dogs Anthologies 1-3, 100 RPM and the Stories for Homes anthology. My work’s often described as ‘sweet’ but there’s usually something darker and more sinister beneath the sweetness. I love magical realism and a comedy-tragedy combination. My first novel, Queen of the World, is about a woman who believes she can influence the weather. I’m currently working on a 3rd: Priscilla Parker Reluctant Celebrity Chef. Originally from West Midlands, I love living by the sea in Morecambe, swimming, cycling, theatre, books, food, weather, sitcoms and LBBNML … SQUEEZE! I finally did it. Seven stone lost in 2 years and 10 months. 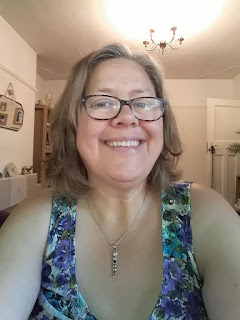 Seven stone necklace on and staying on. Can’t really believe I only have 2 stone 4 pounds still to lose. I would say three stone ‘cos I definitely intend to go a little further. Ten stone lost in total is the ultimate plan. Do I look like someone who is three stone overweight? I honestly do not know. I'm still loving Zumba. Saturday morning and Wednesday evening. It never feels like a chore. But I’m now trying other classes. Body Balance and Hydro Fit and who-knows-what-next. Step? Spin? Not sure I could love anything as much as Zumba. The instructor is brilliant. She doesn’t shout at us. She has a we’re-all-in-this-together-attitude. My Saturday morning swim & Zumba gets me set for the weekend. Sure, I have to get up early AGAIN but concentrating on the moves in class with a relaxing swim and sauna beforehand releases all the work crap (okay, most of the work crap) from me. Reborn on a Saturday. Time to think about other things. Still not sure I want to be the sort of person who does lots of classes, someone with a fitness regime, but unless I want to severely limit my food intake I have to, however silly it seems. That’s Hydro Fit. Very silly. The instructor on the side of the pool prancing away. Us splashing around, using foam weights for resistance under the water. Utterly ludicrous. But I just carry on and laugh at myself. Am I really the same person I was three years ago? Taking short summer walks on the prom and feeling like I was in the way of more important people. And I’m still swimming. I’m in that pool three or four times a week – often before a class - getting in yet more lengths. 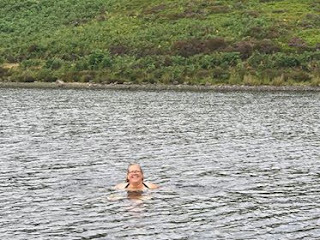 However, one Saturday in June I travelled to Oxenholme station where the FGE picked me up and we drove (well, she did) for a little way, then walked two miles to Gurnal Dubbs and swam and picnicked. It was great. 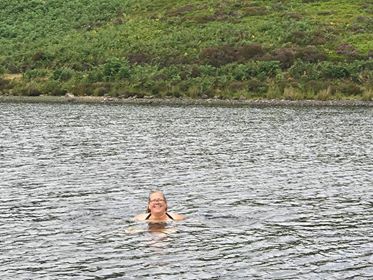 Yes, I’m sure I felt a fish brush my knee & some weed got tangled around my leg and I imagined way worse lurking in the depths, but how exciting and brave to be swimming outdoors. I look at the photos and can’t quite believe I did it. Hope to do more outdoor swimming someday. Two pounds to go till 100 pounds off. Three pounds to go until I reach the weight I got to with Slyming Whirled (sic) when I was eighteen. Got to admit I’d be delighted to smash through that particular landmark. Four pounds to go until I’m the lightest I’ve been since approximately halfway through senior school. Seven pounds till I reach what, in the US, they call ‘onederland’, ie under two hundred pounds. I started at 304 pounds so … BIG WOW! Another big thank you to everyone who has liked, commented, retweeted and just generally been supportive. My mentioning every blooming pound must be most boring. Special thanks to the spooky old witch (her words) Stella for being right about me getting there this week and to the FGE for buying me the Seven Stone Necklace last November for my birthday and waiting all this time for me to wear it. Wonderful, Sal. I'm so impressed. To be honest I find it hard to believe you had that much weight to lose. But you did and you did. Thanks, Lindsay. I guess this is just that, fatness aside, I'm on a bigger scale than most women. Five feet ten, size nine feet, etc ... though its true that with another stone lost I will have lost the equivalent of the FGE. Unbelievable! And I'm often astounded, one way or another, by how much people weigh. Probably not the best way to measure, but then neither are clothes sizes, or even appearance as everyone, including yourself see something different. I still have days when I think I look the same as ever. All very weird. Haha! Thanks Frances. No, I don't hate you saying it ... I get that a lot these days. I really hope someday, somehow I can turn all this into a book and get to help people like me realise they can do it too.